Play every golfer’s dream, The Old Course, St Andrews with this guaranteed Old Course Golf Tour Package. 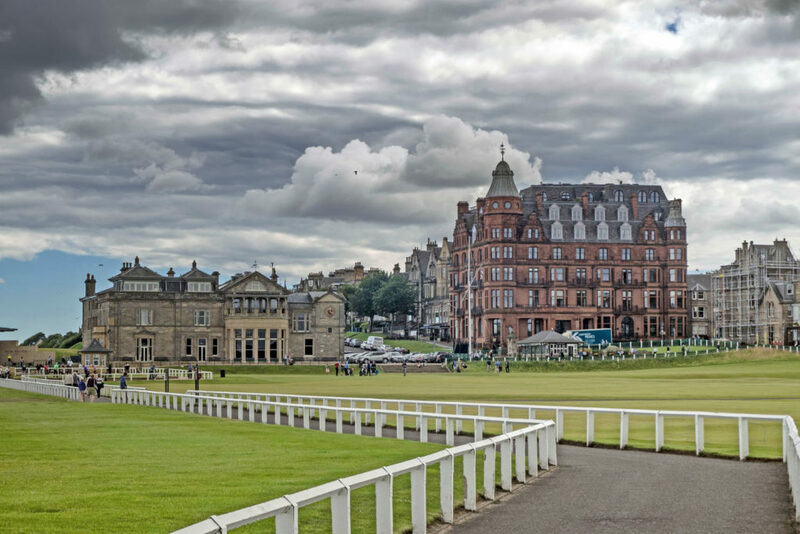 The golf tour begins with a 4-night stay in one of the Old Course Suites at the 5 star Old Course Hotel in St Andrews. During your time in St Andrews you will play 4 fantastic golf courses in the area including the Dukes, Kingsbarns, the New and the famous Old Course links! You will then enjoy 3 nights at the luxurious Gleneagles Hotel where you will play 2 courses at the resort, the Kings Course & The PGA Centenary. Arrive Edinburgh or Glasgow Airport, meet and greet by representative of Fairways Scotland and meet your driver. Transfer to St Andrews, check into your hotel and head out for your first round of golf. After golf we recommend a visit to The Kingsbarns Distillery & Visitor Centre. This morning check out of your hotel and travel to Gleneagles. Enjoy the rest of the day to relax and settle in. You may wish to relax in the fantastic hotel spa or try your hand at one of the activities on offer at the resort including clay pigeon shooting and archery. This morning check out of your hotel and return to the airport for your return flight home. PLEASE ALSO NOTE TO GUARANTEE AN OLD COURSE PACKAGE ADVANCED BOOKING IS ESSENTIAL. WE RECOMMEND 12-16 MONTHS PRIOR.